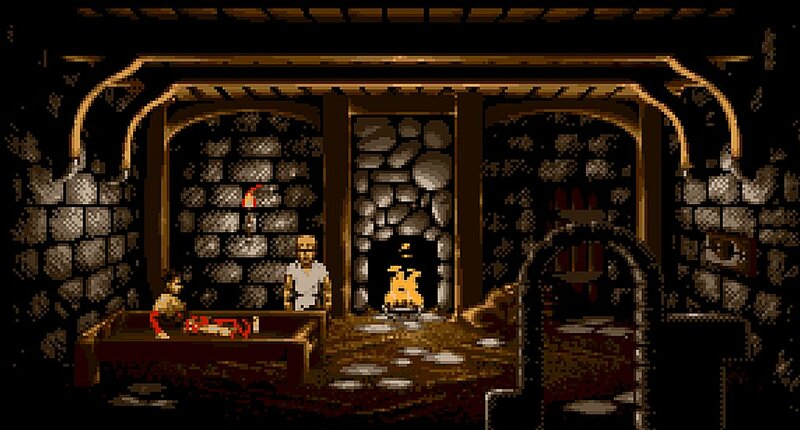 Indie Retro News: Lure of the Temptress - A very good Adventure game as an Amiga-PC launchable file! Lure of the Temptress - A very good Adventure game as an Amiga-PC launchable file! Here's a game many of you have heard of and probably seen being sold in a mighty haul, is the 1992 Adventure game ' Lure of the Temptress ' by Revolution Software. Which has since been re-released as an easily launchable PC file from the Amiga version thanks to The Company.PL. Originally released in June and available for the Atari ST, DOS and of course the Amiga, this game was the companies first game using the Virtual Theatre engine, which was also used in other games such as the incredible Beneath a Steel Sky! In this rather cool Adventure game you play as the peasant Diermot who has been imprisoned by the Skorl and taken to their dank and dark dungeon. You must make your escape and finally defeat the evil enchantress named Selena and freeing Turnvale from her evil tyranny. Sound like your sort of Adventure story? Good! Because Lure of the Temptress is a great game, with lovely graphics, music and atmosphere, although it can be a bit hard without the use of a walkthrough.